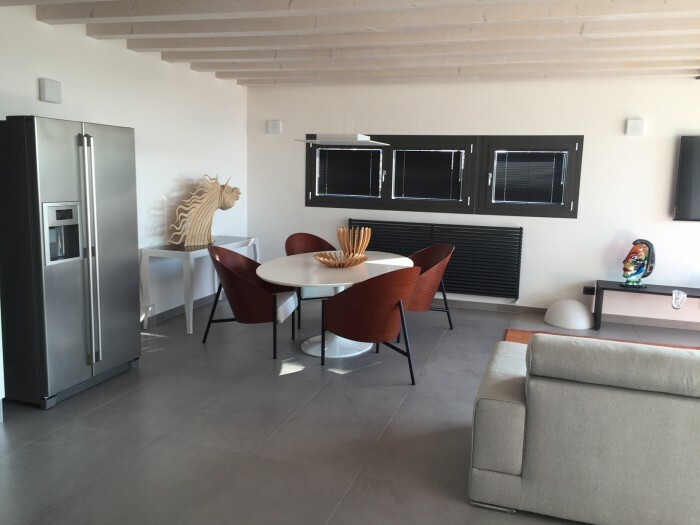 On the upper floors of a newly built complex located in the heart of Lignano Sabbiadoro, EXCLUSIVE AND PRESTIGIOUS PENTHOUSE. The unit is built on three floors: on the ninth floor sleeping area consists of master bedroom with en suite bathroom and dressing room, two double bedrooms, bathroom; each room has its own terrace. On the tenth floor bright and spacious living area open space, bathroom. The large windows, which connect the dining area to a spacious and furnished terrace, allow you to enjoy the sea and the lagoon from every angle. On the eleventh floor the exclusive solarium, also accessible by elevator, comprising an area dedicated to relaxing with Jacuzzi for six people and comfortable sun loungers and a barbecue area destined for gastronomic meetings with friends. Completing the solarium a bathroom, an outdoor shower and an elegant Pompeian. To embellish the residence the refined furnishing imprinted on light colors, from white to beige, that give lightness and style to every room. Air conditioning, autonomous heating system. Double parking space.